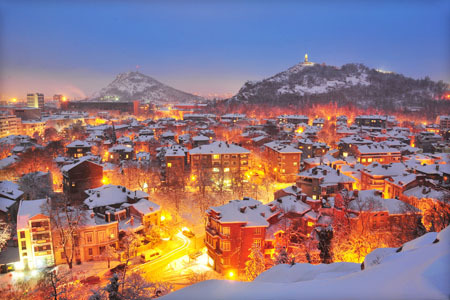 Nestled behind Bulgaria’s dramatic Rhodope Mountains and filled with historical treasures by the thousand, Plovdiv is one of Europe’s most beautiful old towns. In recent years, it was transformed into a spirited modern city with charming cobblestoned streets, delicately painted houses, craft markets and quirky museums. Colorful landmarks like St Nedelya’s bell tower contrast against Brutalist creations like the central post office. Apart from cultural sites, you can explore the Asen’s Fortress, a Thracian outpost perched above jagged valleys.